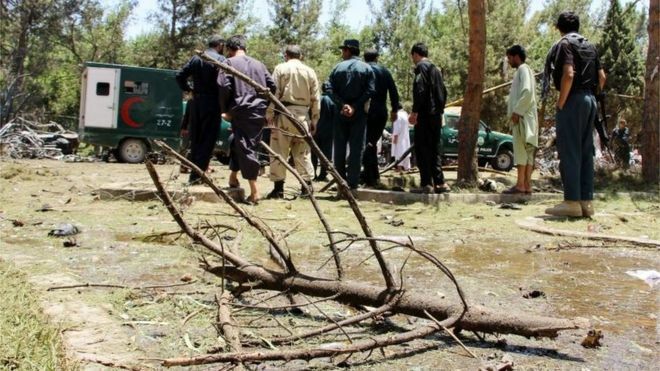 At least 34 people have been killed and 58 wounded in a car bomb blast outside a bank in the southern Afghan province of Helmand, government officials say. Police told the BBC the bomb was detonated at the gate of the New Kabul Bank branch in Lashkar Gah. The Taliban say they planted the explosives. 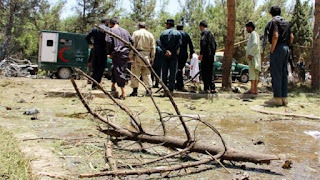 Members of the security forces are reportedly among casualties, as well as shoppers preparing for the Eid religious festival.